DAHLONEGA - As the 2016 presidential campaign continues to unfold, an interdisciplinary team of academic experts, including the University of North Georgia's (UNG) Benjamin Schoening, and students have collaborated to construct an interactive website that explores the creative use of music and sound on the campaign trail. "I am excited to lend my musical talents to the website so people can develop an understanding of how sound participates in forming an identity for a candidate," said Schoening, an associate professor of music and director of choral activities and vocal studies for the Gainesville Campus. Schoening, considered one of the up-and-coming musical talents of his generation, utilizes his unique combination of talents as a conductor and a singer to gain a special insight into music. He also has written a book on the topic, "Don't Stop Thinking About the Music: The Politics of Songs and Musicians in Presidential Campaigns." The website, Trax on the Trail, provides a place where educators, scholars, journalists, students and the general public can learn about campaign music and the effects it has on creating an image for the presidential candidates. "Trax on the Trail is really the first website of its kind that will work to keep up with the songs, artist, playlists, etc. for each of the campaigns in real time to allow a broad picture of how various campaigns are utilizing music, see what audiences they may be targeting, see what may be working and what is not, analyze how a campaign’s message may be changing through the use of music, and also see what issues have arisen from the use of particular songs/artist," Schoening explained. 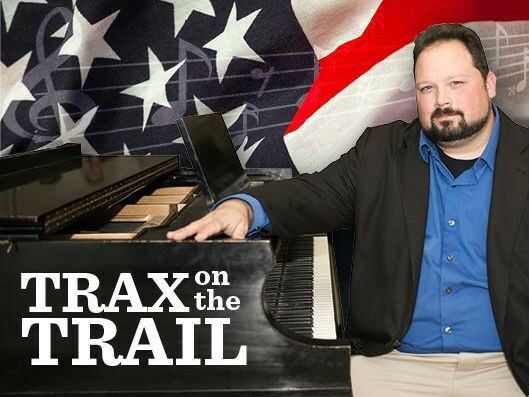 Trax on the Trail features essays addressing multiple facets of the presidential campaign soundscape and a database that allows users to research the particular musical strategies for the candidates. "This will be the first project to document the entire musical soundscape of a single presidential campaign," he added. "The research conducted here will provide educational materials for classroom use for years to come." Dana Gorzelany-Mostak, a musicologist and assistant professor of music at Georgia College & State University in Milledgeville, Georgia, is the lead creator of this project. She collaborated with students and faculty at Georgia College, UNG, Stanford University, University of Michigan, Cornell University, and Purdue University on the website. Trax on the Trail launched on Dec. 1, and is available at traxonthetrail.com.